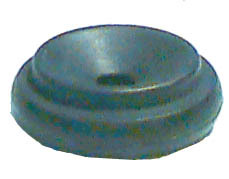 Cap for receiver - does not fit all 2-3/16" diameter. Fits 2-1/8" receiver shells. Hard rubber.